Not a day goes by when I don’t learn something new about food and its magical healing powers! I’ve always loved a good pickle; the tangy ones, the sweet ones and the ones that are so hot they burn the tip of your tongue! 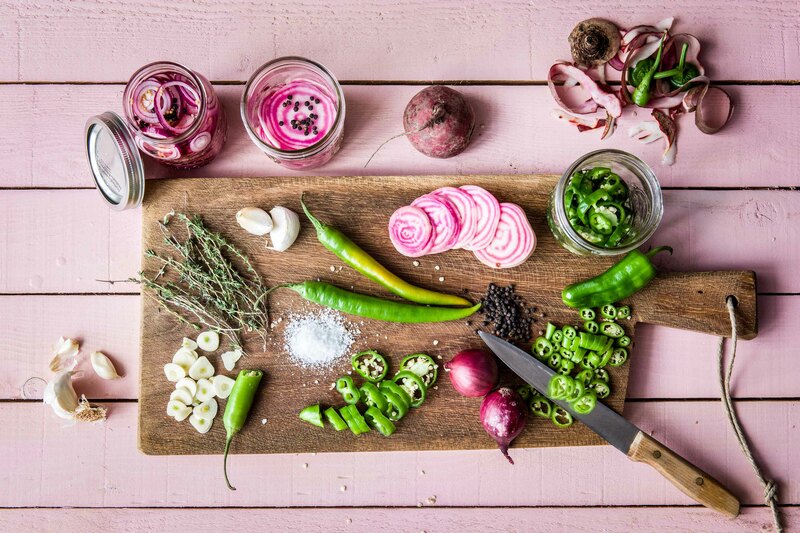 From the more European gurkins and sauerkraut to more spicy, sticky types like kimchee or mango and lime pickle – they make such wonderful condiments and they’re making a huge come back! So, the big news – did you know that pickles are a superfood? What are the Health Benefits of Pickles? So, as all you budding nutritionists among us will know fermentation is a great way to cultivate probiotics. The fermentation of both fruit and vegetables means that healthy bacteria help to break down what is known as cellulose – which is really hard for our bodies to break down. Have you ever heard of someone with a lactose allergy being able to eat probiotic yoghurt? The good probiotic bacteria keeps their guts healthier and it stops the food from going bad. 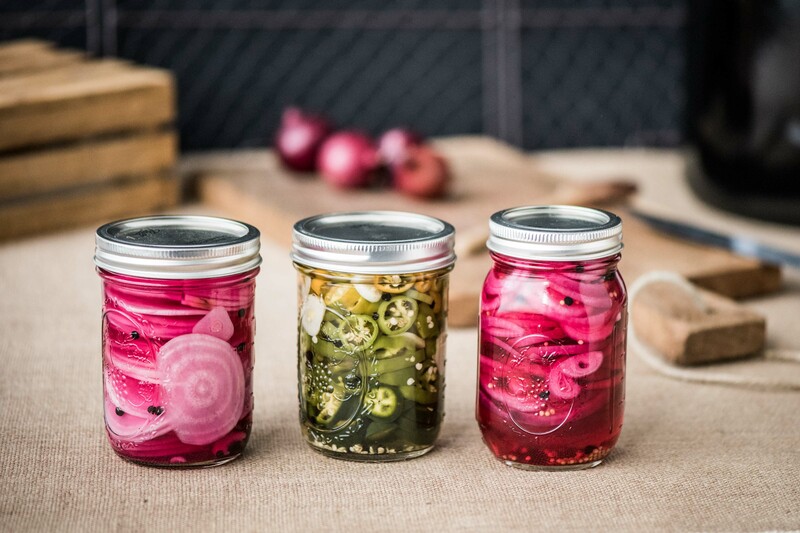 So, if you want to make sure your digestion is as healthy as can be, just add a pickle or two to your food and the healthy bacteria in your gut will improve. Basically, although it’s true that pickles themselves don’t have a great deal of their own vitamins and minerals, eating a pickle with you meal will increase the probiotic content. Who here has heard of free radicals? While you might be thinking they’re some kind of 80s Punk band, in fact they are chemicals that our body creates. But not the good kind – they’re a bit manic and unstable. So much so, that they can often cause cell damage and health conditions like cancer and heart disease. Luckily for us, fruit and vegetables are packed full of natural antioxidants which help to fight against free radicals. However, cooking vegetables can often lead to antioxidants being damaged BUT pickling preserves the antioxidants. Essentially pickles have more antioxidants in them than cooked vegetables. How Many Pickles Should I Be Eating? Let’s not over do it. Aim to add one or two pickles to your diet on a daily basis. It’ll make the food taste GREAT and your body and gut will thank you. What Kind of Pickles are Best? Ohhhh… you should know us well enough by now to know the answer to that. Of course the best kind of pickles are the home made kind and I promise we’re not being biased. A little birdy (as well as a lot of expert nutritionists) said that because of the pasteurised nature of a lot of pickles you buy in the supermarkets – they are lacking the brilliant probiotics and good bacteria. So, just follow our simple recipe and make pickles. We chose some pretty colourful veggies – because… they’ll look beautiful on your dining table too! If you’ve got vegetables in the fridge but you aren’t going to use them in time. Just pickle them and they will last longer! Hey guys , very sorry , but this topic is very misleading.You really should remove it. Are you talking about pickles or fermented here? Pickles with vinegar have nothing to do with live raw fermentation. Vinegar pickles most certainly don’t contain any probiotics, as it is all dead after using vinegar.